Increase your conversion rate up to 87.5%* thanks to our mobile optimized solutions, without the need for any additional integration. And with One Touch™, your buyers can pay their purchases faster than ever! *Conversion rate with One Touch™, calculated during 4th quarter 2015 as part of a comScore study. Sample group in the US. 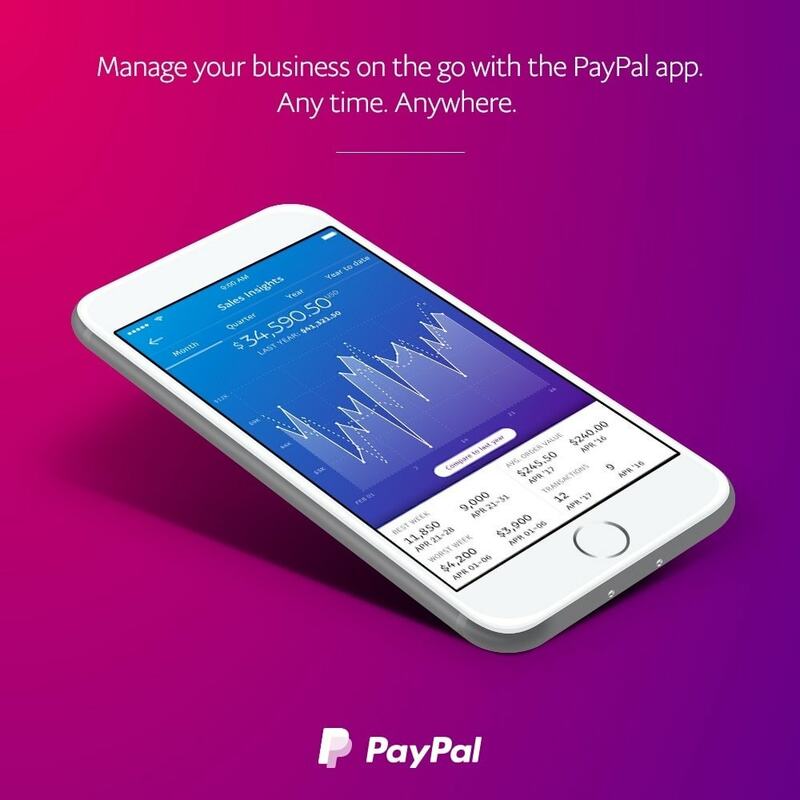 - PayPal wallet: Accept the essential ecommerce payment method and connect with millions of customers. Your buyers can use their PayPal balance, their bank account and most of the existing debit and credit cards to fund their payment. - Express Checkout Shortcut: Pre-integrated and available in Prestashop by simple activation, this PayPal shortcut is displayed in the shopping cart and allows for the quickest checkout experience. - Credit cards: You don't need any other module to process all your buyers' payments. Our guest checkout allows customers who don't have a PayPal account to finalize their purchase with their preferred local debit & credit card. Ensure that you have a correctly installed SSL before getting started. For security reasons, you need to make sure that you are using TLS 1.2 or above, SHA-256 signed 2048-bit in order to do API calls to PayPal. This module is available worldwide for 1.7 version and for 1.4 to 1.6 for the following continents: Europe, Asia, Oceania and Latin America, except Mexico. 1. Download the module and activate it in the Prestashop back-office. 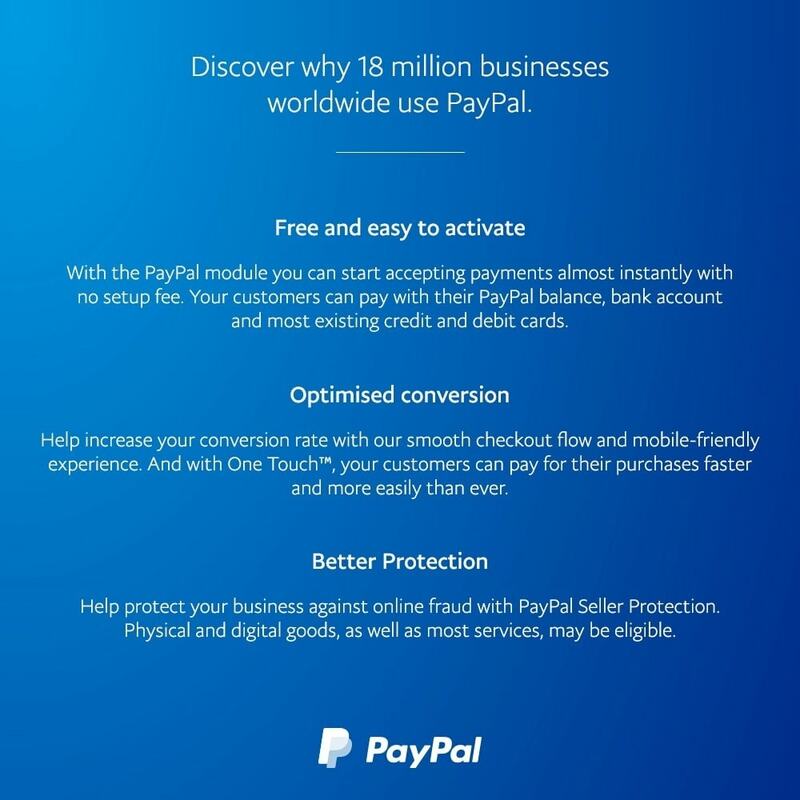 PayPal is pre-installed and ready to use! 2. 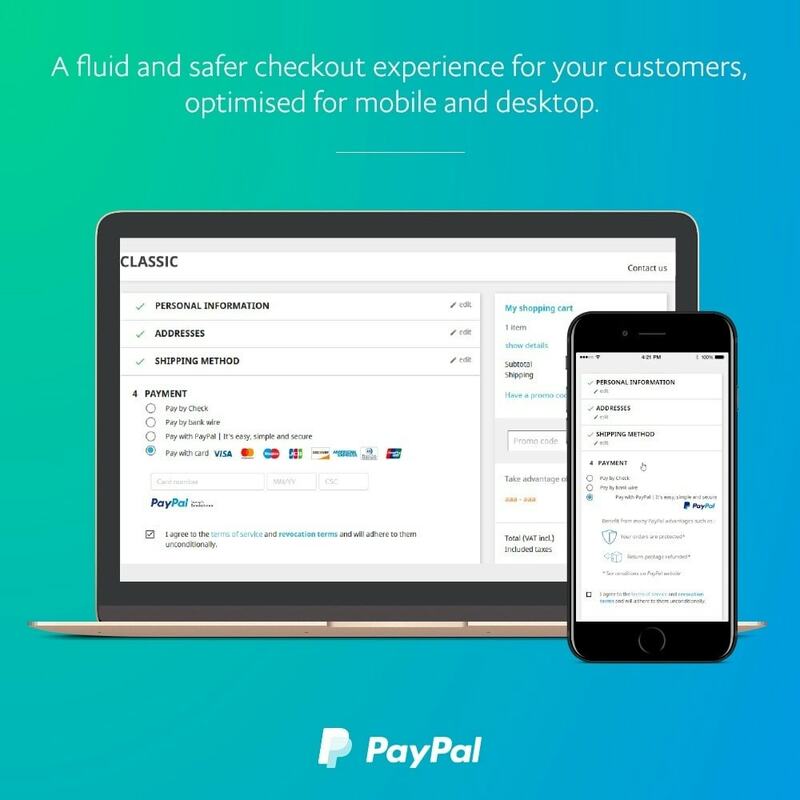 Add your PayPal account or open one in no time through an onboarding process optimised with Prestashop. 3. 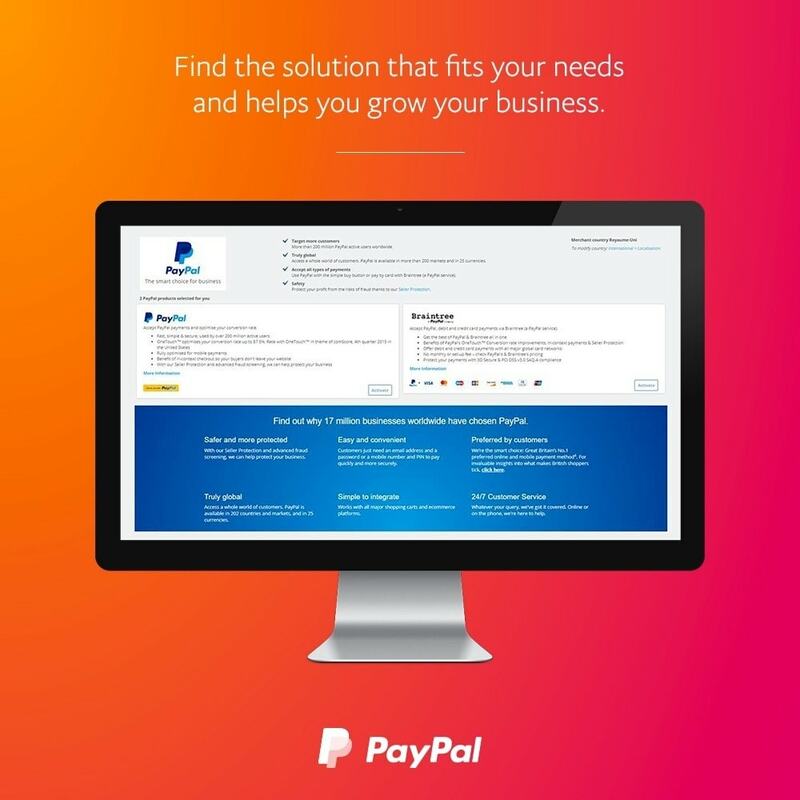 Add your bank account to your PayPal account and start receiving payments!